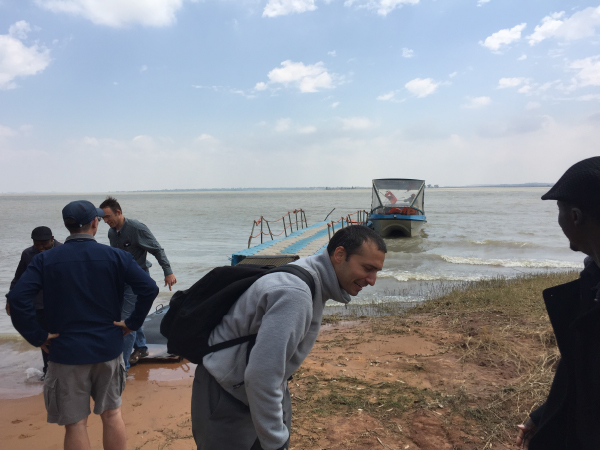 It has been a while since we sent out a prayer letter and ministry update. Be assured that your prayers and support are carrying us and, by the Lord’s grace and help, we are soldiering on. We must say that we are extremely privileged to have you praying for and supporting us. May the Lord continue to bless you and give you the grace to continue being faithful in the spread of the good news of the saving love of Jesus Christ. The church continues to grow strong, with the spiritual ups and downs a number of people are going through. This means that we do not see as many people as we used to see before, but our Sunday morning worship service averages 60 in attendance, and the evening service between 25–30. Richard is still preaching through Isaiah in the morning, and he is now in chapter 60. Tsholo, and every now and then some of the men whom we are training, is teaching/preaching on “Why We Believe What We Believe” in the evenings. The men’s preaching is very encouraging as they are able to exegetically handle the Bible and are growing in preaching expositionally. The discipleship course that we run every Sunday after the morning service has been going well, and we might have about five new membership applications from the group, which is something that is very encouraging for us as a church. The membership sits at 24, and if these five become successful, we will have 29 members. One other encouraging side is that the church is becoming more and more committed to giving financially to the church. 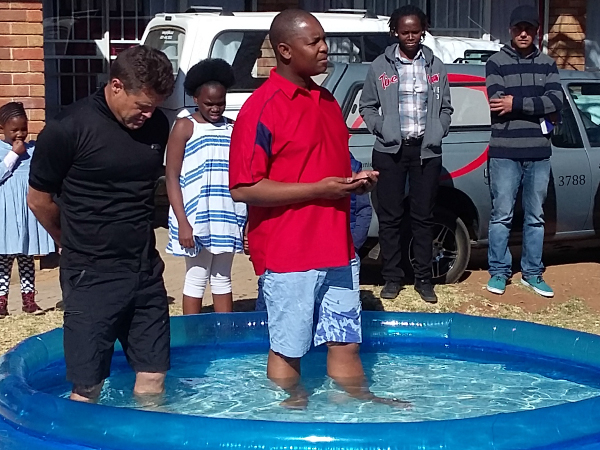 We recently had a baptism of Brother Frank. Frank and his wife, Ruleen, are dedicated members in the church. We have been very encouraged by their loyalty, sacrificial giving, and selfless serving in the church. We would value your prayers for those in the church who lack commitment. We have recently been seeing a spiritual decline in some of the people, some of which shared their struggles with the elders. The Christian walk is not an easy walk, and we know that if we do not pray for one another and encourage one another with the Word of God there will be very little progress and spiritual victories over the things that weigh us down. Of particular note is the students and the Young Adults ministry, which has seen a decline as of late. We have a fairly busy weekly schedule, considering we are a small church. The week starts with prayer at 07h45 on Sunday morning; then worship rehearsal at 08h30; followed by the morning worship service at 09h00. We have discipleship studies at 11h00. In the afternoon, we resume with worship rehearsal at 16h30 followed by the afternoon service at 17:00 concurrently with Sunday school for the children. On Monday evenings the men meet for worship evaluation and reading of Systematic Theology. The young mothers meet on a fortnightly basis on Tuesday mornings. Wednesday evenings we have Bible Study, where we are going through the Gospel of John at the moment. On Thursday afternoons, Richard and Tsholo have an elders meeting and both of them would visit people in the church and/or do counselling. The Young Adults meet on Friday evenings. The ladies meet once a month of Saturday mornings. Some of the men meet every Saturday morning to read a book, and then do street evangelism together. Then lastly on Saturday at 16h00 we have worship practice. We are sensing the need as a church to appoint deacons. We will appreciate your prayers in this regard. We as the elders have commenced discussions with the elders from Emmanuel Baptist Church, our sending church, regarding constituting the church. We need the Lord’s wisdom and guidance as to the way forward in this matter. 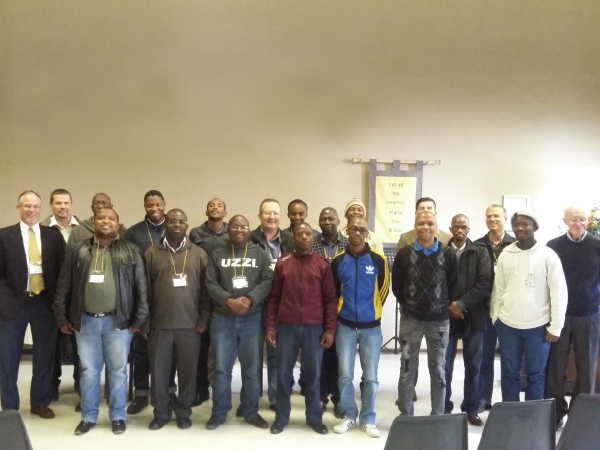 On 5–6 October we hosted our annual African Pastors’ Conference on the theme “Preaching Salvation.” The speakers were Ps. Thomas Winn from Laurel & Ps. Ndonji Kayombo of Nkana West Baptist Church in Kitwe, Zambia. We thoroughly enjoyed it, and the delegates who attended had a blessed time. 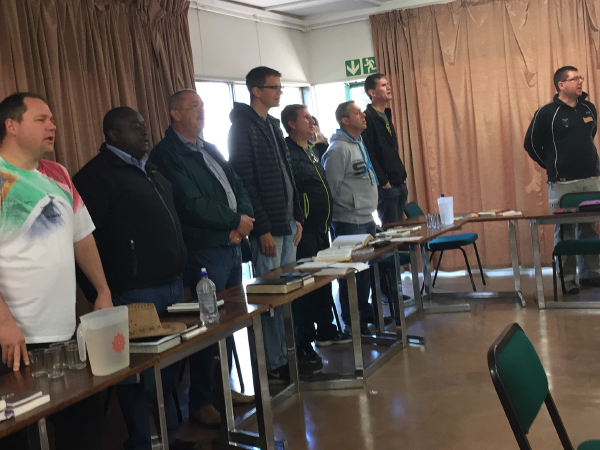 Bloemfontein can be a very lonely place for pastoral ministry, as there are very few churches that are far apart for pastors to get together for a time of fellowship and discussing ministry related issues. 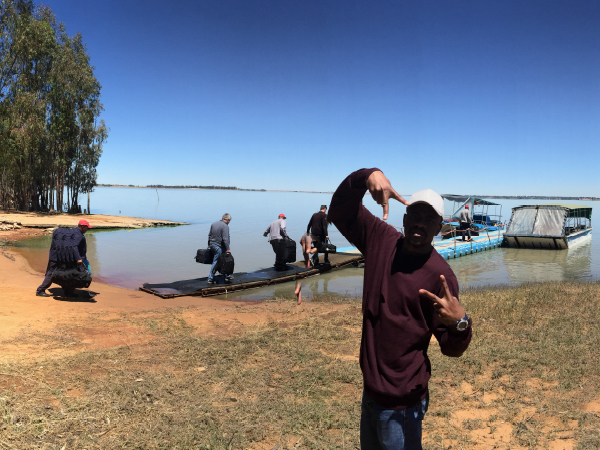 For this reason, Richard and Tsholo travelled to the Vaal, on the University of Johannesburg Island, for a fraternal with likeminded brothers who minister in the Southern Africa regions. It was a time of refreshing (three days) and praying together. This year we had Jim Eliff taking us through some helpful texts for practical theology by way of inductive Bible Study. By the Lord’s grace, we are doing well as a family. Our schedule at home has become very tight and demanding, but we are not complaining, but are rejoicing in the Lord for his blessings on us. Please pray for Tsholo as he is still a student, and has very little time to study. Richard’s secular work commitments remain a challenge. Work pressure and work load often tends to creep in on ministry and family responsibilities. He has been in the process of trying to address the matter with his employer. Richard and Liza are investigating the possibility of homeschooling their children. Your prayers in these matters will be appreciated. Reaching out to the lost in our community, especially those in townships.